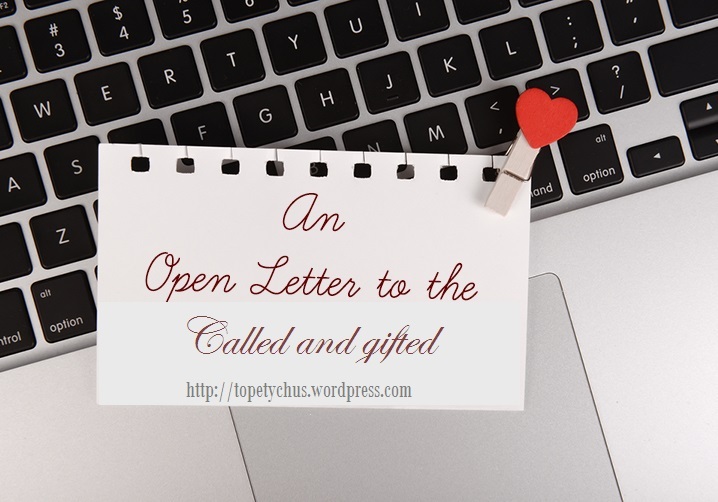 Open letter to the called and gifted. Remember the life of Moses(called and gifted) as narrated in the scriptures, who received a greater judgement than the Israelite (who were always erring and rebelling), missing the promised land due to an error he made. All the “called and gifted” should please look into the lives of people like Samson, Moses, Eli, Saul, Judas, etc, and learn great lessons from them because most of these ones erred but still continued using the gifts given them by GOD (NOT knowing they’ve gone out of The Way), also working in their “calling” because the gifts and calling are without repentance (Rom 11:29). Those Christ talked about in Matt 7:22 still thought they were on the right path because they could still access the DIVINE not knowing they’ve missed it along the way. Did you also note what Paul said in verse 5?? “…..but ministers by whom ye believed, even as the Lord gave to every man?” which simply means that ALL BELIEVERS ought to function as “ministers”! EVERY ONE OF THE BELIEVING FOLD IS “CALLED AND GIFTED” (1 Peter 2:6-9) and those still not functioning as such will account just like the “one talent” man in Matt 25:24-30. Previous Post A MUST WATCH!